When your hot your hot! 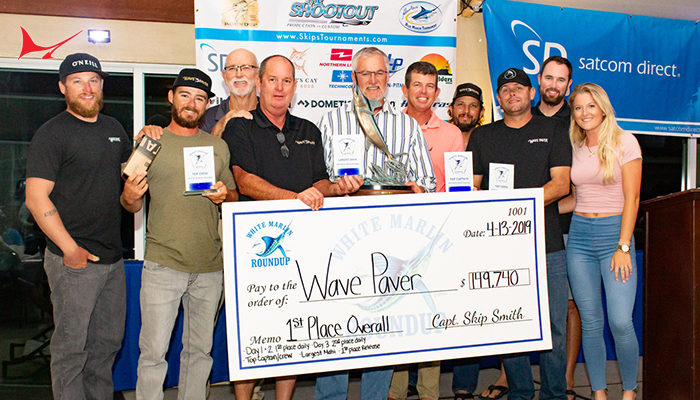 Captain Myles Colley and the Reel Worthless crew take top honors in the Emerald Coast Blue Marlin Championships. 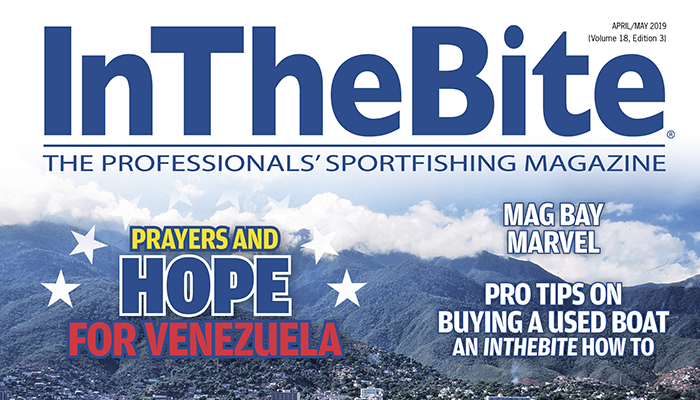 The 594 lbs blue marlin was the only harvested blue marlin and worth $498,450.00 out of the $1.68 million in prize money. With the win Captain Colley moves closer to the top of the Gulf Coast Division Captain of the Year Cup leaders. Top release winner Captain Jason Buck on the Done Deal also makes a move up the leader board after winning the Release Category in the event. 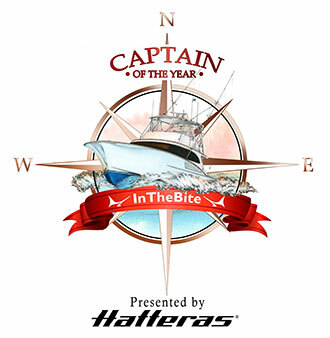 Check current standings for Captain of the Year Cup points totals. By Capt Dave Lear From ECBC Website Where there’s smoke, there’s fire. 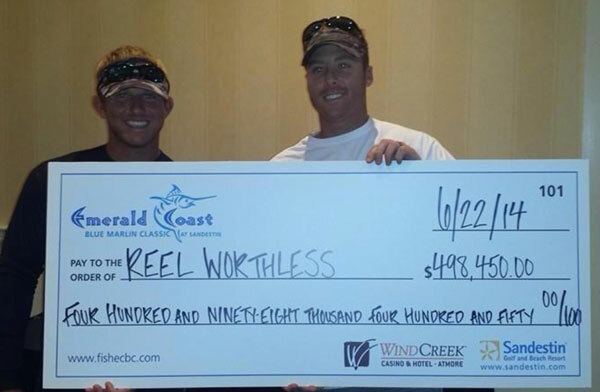 And Team Reel Worthless is red-hot right now after winning big in its third major Gulf tournament this season. 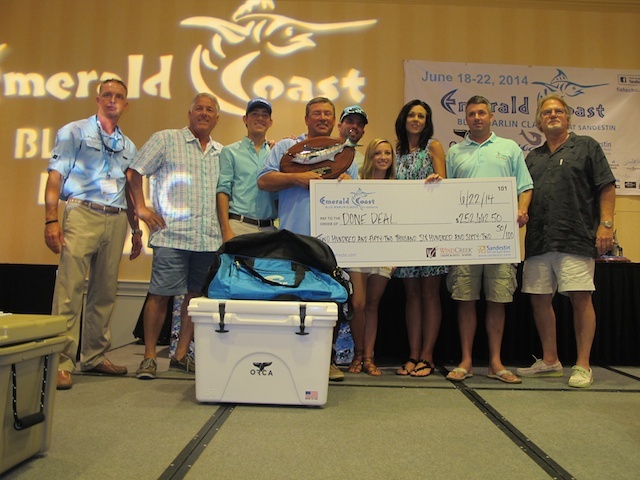 Angler Steve Brown and his team again combined with the Reel Fuelish crew to land the biggest—and only—blue marlin of the 2014 Emerald Coast Blue Marlin Classic. That 594.0-pound fish was worth an ECBC record payout of $498,450, topping the previous mark set by Up To It in 2008 by more than $61,000. 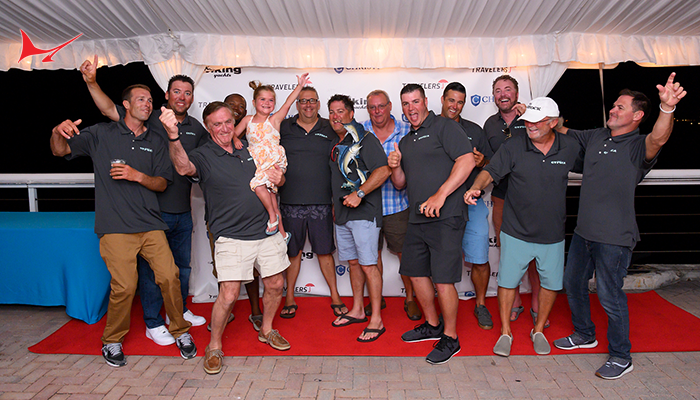 Reel Worthless swept the marlin division, top crew and all but one of the optional jackpot entries to claim the biggest share of the overall $1.68 million in prize money. The team has dealt with its share of adversity this season, however. 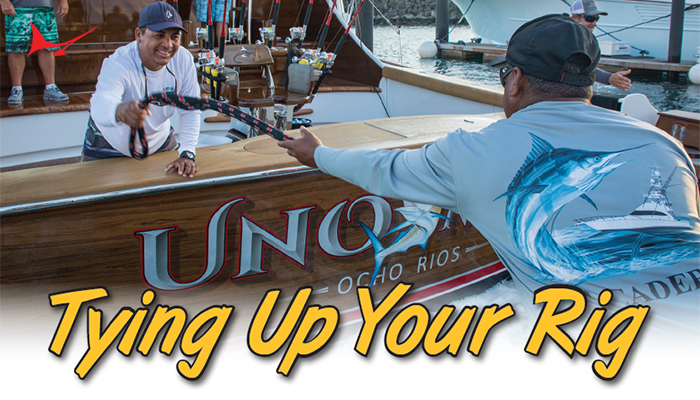 Angler Chris Crosby brought in the largest tuna, a yellowfin tipping the scales at 131.9 pounds. Crosby was fishing aboard Black Tip, a 61 Buddy Davis based in Key West, Florida. Capt. Mark “Sparky” McCann is the boat’s skipper. With the team and jackpot totals combined, Crosby & Co. are taking home a check for $167,011. Truitte Jackson, fishing on Annie Girl with Capt. 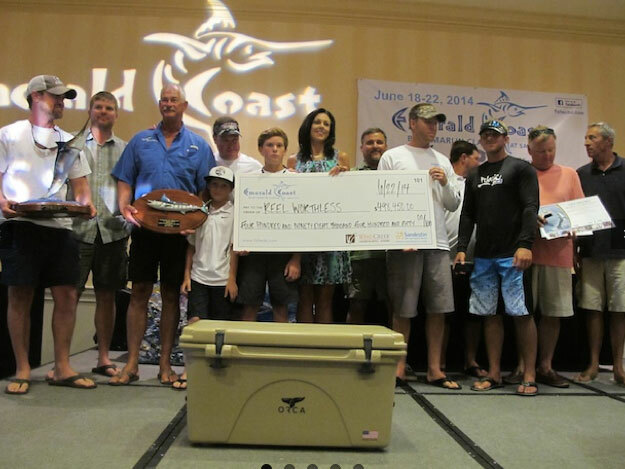 Mike Rowell at the helm, whipped a 110.7-pound yellowfin in about 10 minutes to claim second place. That catch earned the team a $73,303 payday. Perennial tuna killer Cory Racca boated a 105.3-pound yellowfin to earn $44,792 for Freak on a Leash, with Jon Mitchell as captain. Past ECBC champion Done Deal, a 70 Viking run by Capt. Jason Buck, showed its prowess by claiming the top prizes in the hotly-contested release division. 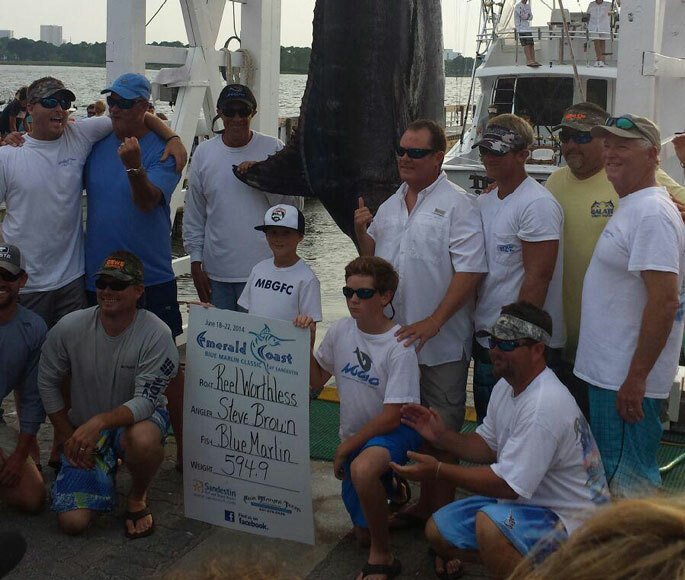 After running hundreds of miles, the team released two blue marlin in short order to take team and jackpot categories. That extra effort earned owner John Gonsoulin and his team $252,662 and top lady honors for Kate Gonsoulin. 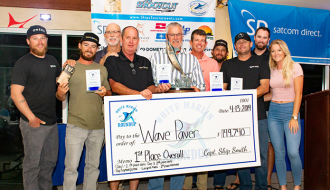 Sea Wolff came in second in the division with blue and white marlin releases, followed by Controlled Chaos, with Capt. Daniel Menard at the helm. 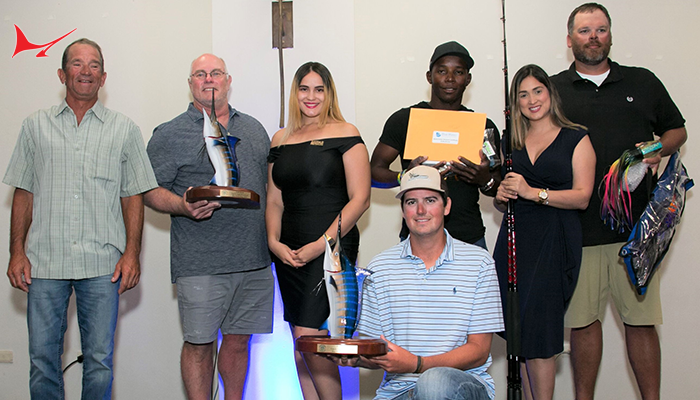 Blue Smoker, Testing the Water and Big Gin also earned checks in the release jackpot categories. 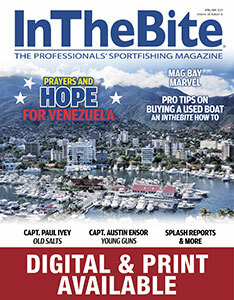 Drew Armstrong, fishing on Tar Baby, was the top junior angler with one white marlin release.